Toni Cross de Chavannes has always brought to her artistic creations a strong sense of the Spirit. With the eye of a storyteller and the soul of a gypsy, Toni always sees things anew. Allowing her to capture that – special something- so sought after by so many others Artists. Many have described this unique creativity as the innovative blending of abstract with realism, which results in Artworks that are exceptionally different. Her painting and sculpture style is so distinct that it can be instantly recognized. When Toni discovered sculpture she instantly clicked and new paths of adventure opened that continue to this day. It is often said that she would sculpt until someone rips the clay from her hands. She often paints into the late hours of the night. Such is her passion and need to continually create. Toni began sculpting in Vancouver, Canada, using North American Native Indians as her first subject matter. She is a proud family member of the world famous impressionist, Pierre Purvis de Chavannes – the youngest artist to have works hung in the Louvre. Toni’s range of work is diverse to the extreme and is well received by all. A recent work “Endless Love” was requested for donation by Ronald MacDonald Charities and sold at auction after heavy bidding. For many years she has been a longtime contributor of an annual piece of Sculpture to the Cancer Society. Her donated works have raised substantial amounts for numerous charities. Toni’s last main solo exhibition was “The Child Within Exhibition” at Darling Park in Sydney, which consisted of a 70-piece collection. One of her current private commission, “Two Mermaids” has just recently completed installation at Main Beach, Queensland as a public outdoor water display. This has been an extremely busy time for Toni with private commission works in New Zealand and two more separate additional Private Commissions in London, England for The Tisdale Collection. Toni also recently completed for the Hans Sip Collection the Private Commissioned sculpture of the official bust of Clifford Possum. Clifford Possum remains Australia’s most famous Aboriginal Artist. Her works have been exhibited in Canada, England, United States, Europe and extensively throughout Australia and New Zealand. Many international private and corporate collectors collect her work. A very large numbers of her corporate pieces have been purchased by and for addition to The Hans Sip Collection. 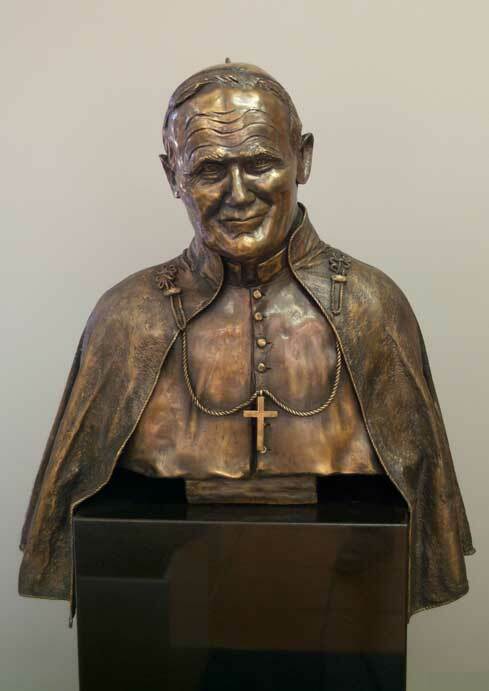 The Pope’s Nuncio held a special mass when Toni’s sculpture of Pope John Paul II was unveiled at Saint Patrick Cathedral in Auckland, New Zealand. The Sculpture remains on public display during Cathedral hours. 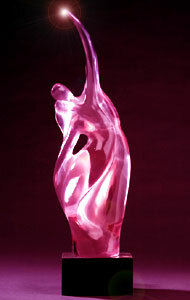 Toni is the proud holder of the Tony Palmer Sculpture Award. She will be exhibiting throughout 2017 and 2018 at numerous locations. Toni also this year completed portraits respectively of, Pope John Paul II and Pope Francis. Additionally, she has been painting numerous abstract works. She is currently planning to be in New Zealand to exclusively portrait paint for two months during 2017. The later part of 2016 or early in 2017 may see Toni sculpting in Devon, England and then painting in France and Spain. All future exhibition dates and locations will be announced as finalized. Toni requests that those seeking Private Commissions of her sculpture works, including busts, contact her on her email address with a small description of their requirements. Portrait or abstract paintings prices are available on request.